Banks and various financial institutions every day are finding new ways to utilize blockchain technology in order to revolutionize substantial areas of their business. 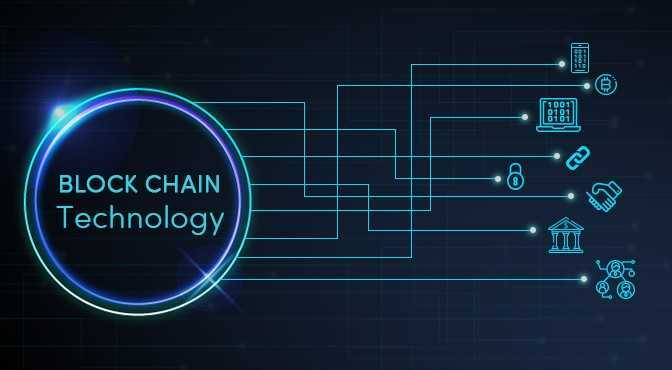 By combining its two elements of shared databases and cryptography, the blockchain technology allows all the parties involved in having an access simultaneously to a constantly updated digital ledger which cannot be manipulated. The technology underpinning cryptocurrencies such as bitcoin was initially dismissed and treated with skepticism by banks, has had a complete turnover in its perception in last few years. In fact, according to Statista, the blockchain technology is expected to grow to 2.3 billion U.S. dollars by 2021. Netscribes also reports that the expansion of blockchain space every year is predicted to by 42.8% and that it believes the “key factors behind this ascension will be blockchain adoption in financial transactions and cross-border payments”. While the industry has certainly applied the technology in diverse areas, recently a group of banks “responsible for about half of India’s internal trade” as Bloomberg puts it, have formed a consortium and introduced the blockchain technology to expedite processes, eliminate hurdles during approval of new trade loans. As per the publication, fourteen banks have signed up for the “India Trade Connect” consortium, which will use a blockchain platform for loans that back trade transactions within India. Why do banks need blockchain for trade finance? Currently, the process of transferring participations in loans can take up to 22 days to complete as per ‘Yes Bank’, which is also part of the consortium. They describe the process as involving a written transfer request to the facility agent chosen for that loan, waiting for the facility agent to determine the trade is permitted by the credit agreement, raising and executing transfer documents and then depending upon the agent to settle the trade and reconcile the participant’s bank’s hold levels, interest payments, and accruals. As is expected with such exhaustive process – bankers and especially their treasury teams are eager to have a solution that can help solve the issue of not being able to sell and buy loans with clear settlement dates – which can increase drag on the balance sheet. Like for an instance, you want to sell $60 million of your participation in Loan A and want to purchase a $60 million participation in Loan B; the sale of Loan A takes 18 days to settle and the purchase of the Loan B takes 14 days to settle – for the 4 days left, both the loans will still be on your balance sheet. The blockchain project aims to decrease those delays as per Yes Bank’s CIO, Anup Purohit. “In later phases, the project could be extended to remittance processing” he added. How can Blockchain help in speeding up processes and reduce obstacles to trade loan approvals? The blockchain technology offers such a solution that it can reduce the loan trades to particular T+3 days of settlement period by utilizing a central platform in order to process loans and administer trades. In order to facilitate this, the key aspects of the credit agreement in regards to the loan transferability are coded into a “smart contract” on the blockchain platform. For instance – a) any minimum hold requirements to be adhered b) any minimum permitted transfer amounts c) whether the consent or consultation is needed to transfer the loan d) information of ‘blacklist’ or ‘white list’ of potential transferees. By the time the loan trade is proposed, the smart contract finds out whether the proposed trade is allowed by reference to the parameters already set (rather than sending a request to the agent to do the same manually- saving days in time with just one step). The instigating bank propositions a trade to another bank. If the bank which is purchasing accepts the proposed trade, the loan transfer documents and borrower notices are created, signed and logged on the blockchain platform. This blockchain ledger will then automatically reconcile the transactions and update the lender’s hold levels and interest payments as well as calculate the interest accruals. It’s is hardly surprising that banks are considering blockchain solutions for trade finance – as with blockchain- all participants in the supply chain are allowed to view the same ledger recording of the progress of documents as well as goods through different stages of the supply chain. This definitely increases the speed of the end-to-end documentary trade processes and brings more accuracy and reliability to the process – which significantly reduces risk to a financing bank.